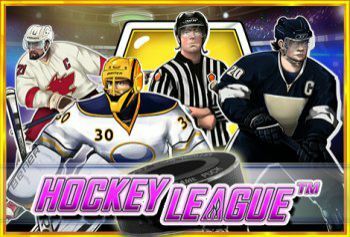 Play Hockey League and get fire in your hearth and ice in your veins! The Hockey League slot from Pragmatic has 5 reels and 20 lines. Become the MVP in the Free Spins round where you can win up to 10 free spins with a mystery scatter symbol! Hit 3 or more Scatter Symbols on the reels to trigger “The Most Valuable Player” round in which you can win up to 10 Free Spins. Win unlimited Free Spins during the round. 5x Scatter Symbols = 200 x Total Bet. Before the round starts, a random symbol is chosen out of the character symbols. The chosen symbol will act like a Scatter Symbol during the next Free Spins round. You win with it anywhere on the reels and it pays according to the symbol’s paytable.